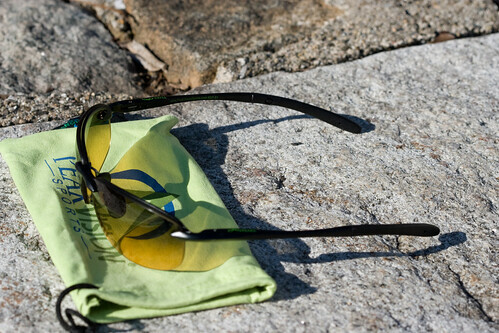 We had the opportunity to review both the PeakVision Sports SL8 and SD7 model sunglasses. I had a look at the SD7s, while Anthony had a look at the SL8s. 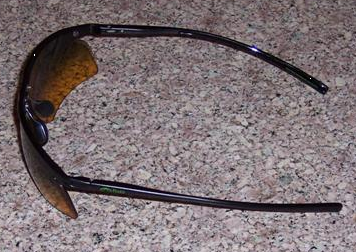 Both of these sunglasses are specifically designed for golf. The SD7 is pictured below. PeakVision Sports incorporates two different technologies into a noticeably unique and differentiated lens by integrating multiple color management filters into a sport lens made from a revolutionary new optical polymer. 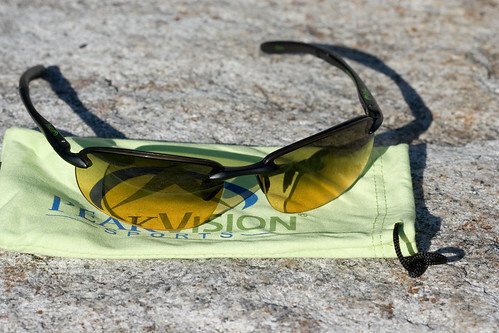 PeakVision Sports developed the patented Dual-Zone filtration that utilizes different filters in two zones of a sunglass lens. In the upper zone, neutral-density gray filtration eliminates overhead glare from the sun and enhances distance perception. Through precise color and light management technology, PeakVision Sportâ€™s upper gray zone gradually transitions into an amber lower zone which enhances a golferâ€™s ability to read the topography of the green. For skiers, the upper gray zone transitions into a vermillion lower zone. Both models have a very sleek, solid look to them. The SL8 model has a sporty look with an angled edge to the lens, while the SD7 has a more traditional rounded edge. Right out of the box, both models were very appealing. Both models feature the same PeakVision lens. The dual zone lens looks quite distinctive, it is certainly much different than a lot of offerings from other sunglass manufacturers. You can see a closeup of the SD7s lens below. The sunglass frames are metal, and feel quite substantial. With the plastic sunglass frames, I always wonder how long they will last. These sunglasses also sit very nicely on your face. They feel quite light and rest easy on the nose. The PeakVision website has recommendations based on hat size for the frames to select. Anthony took their recommendation and went with the SL8. They were right on. His hat size is 7 3/8 and they fit him perfectly. Along with the sunglasses, you will also receive a very sturdy carrying case (pictured above) and a PeakVision sunglass bag. While I wouldn’t throw the sunglass case under a steam roller, it certainly felt like it should hold up against most every day situations. I certainly would have no problem throwing it into my check-in luggage on my next flight. The sunglass bag, as with most companies is used to clean the lenses. While most companies supply a plain black or gray bag, the PeakVision bag is sharp looking. These glasses are designed for golf with their dual zone lens technology. Basically, these lens are designed to help with distance perception while blocking glare from the sun and grass. The lower portion is designed to help sharpen your view of the greens while not distorting colors like most sunglasses do. On the golf course, these sunglasses perform great. Unlike most glasses, I didn’t feel the need to take them off when I was on the green. I was able to see the breaks easier with the sunglasses on than I was with them off. I think this was because I wasn’t squinting. However, with most other glasses, everything looks flat, and I take them off. I thought the dual zone lens may be distracting while hitting shots, but it did not bother me at all! It’s actually easier to focus on the ball with the glasses on than with them off because of the glare reduction of the upper portion of the lens! While walking, these sunglasses provide all the protection you’d expect from other big name brand sunglasses. I also found myself wearing the sunglasses throughout my entire round. Just like Anthony, I had no problem wearing them even while swinging. The enhanced contrast in the lower half not only helped me notice some breaks in the green, but it helped me find balls in the rough! That is always a difficult task this time of year, with the low, bright sun creating very difficult shadows. Recently I broke a pair of polarized Oakley sunglasses I have had for the past 4 years. I would never play golf with them, but they were always on my head while driving. So, I figured I’d give the PeakVision glasses a shot at filling in. You’d think that would be very strange, with the dual zone lens, however, it was actually pretty interesting. The upper half of the lens did a nice job of filtering out the bright sun, while my view of the dashboard was very bright and full of contrast. I would still prefer a set of polarized lenses for driving, but in a pinch, these have worked out quite nicely. Back to the PeakVision glasses, one thing I definitely noticed was the lack of distortion in the lenses. They are crystal clear, and if you look down and left to right, your sight seems to be pretty distortion free. I have noticed with lesser glasses that looking in these directions will sometimes lead to strange amusement park like distortions to your field of view. Not so here, and when playing golf, I would think that is something pretty critical. These are my new gamer sunglasses! This is like having 2 pairs of glasses, one for walking/hitting shots and another for the greens. They’re extremely comfortable, and very good looking. They have models for all face shapes, so I am sure you can find a model that suits you. I couldn’t imagine another pair of sunglasses delivering everything these do! They are a little pricy ($169), but they are even more well made, in my opinion, than similar glasses from Oakley and the other big guys. Also, you do not need to change lens all the time. The dual zone lens handles all conditions beautifully! You’ll put these on walking to the 1st tee from the locker room and not take them off again until you’re back in the clubhouse! I generally have not played with sunglasses in the past. Nonetheless, I could see myself playing with these full time. A little on the pricey side, but given the quality of construction, I cannot see having to replace these unless you flat out lost them. The dual zone lens is a little strange at first, I felt like I had just downed a few beers the first time I was actually walking with them, but I adjusted quickly. 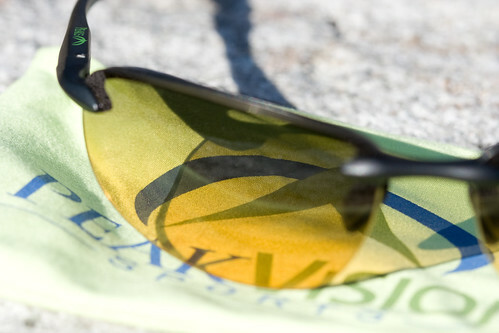 You can purchase PeakVision sunglasses directly through the PeakVision website. Or perhaps at a retailer near you. Also be sure to check out eBay. We have had a lot of golfers invest in PEAKS as a result of this review. For anybody reading this review in August 2008, you will definitely want to know that PeakVision Sports currently has a “2 For 1 Summer Spectacles” event in play. 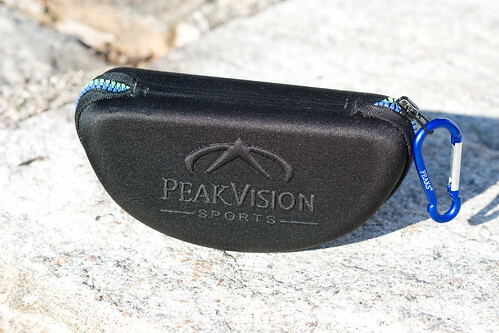 Basically, you buy a pair of PEAKS at http://www.PeakVIsionSports.com and you also receive the “Original Classic CL1″ golf sunglass at no charge. Well, almost no charge…just $3 for the extra shipping and handling. Dual-Zone/Zero-Distortion lens technology has never been sweeter. To take advantage of this just click on the “2 For 1″ ad on the main page of our site and ad it to your cart with any other PEAKS sunglass being purchased. See Better, Play Better.